India today pitched for ratings upgrade with S&P as the US-based agency discussed the macroeconomic situation with the Finance Ministry here against the backdrop of depreciating rupee and widening current account deficit (CAD), according to an official. 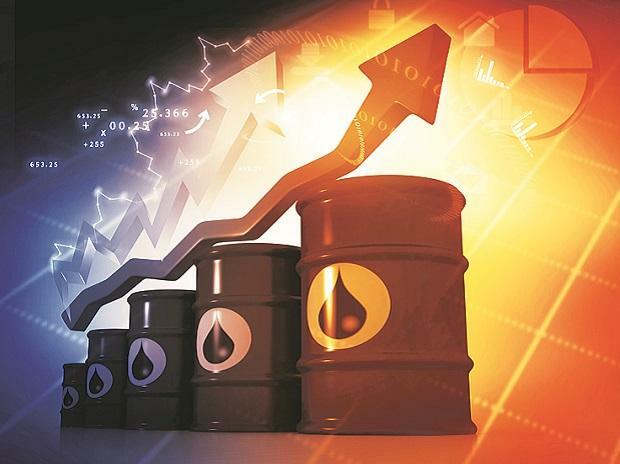 Rising oil prices, their impact on government finances and increasing GST collections figured in the discussions between the Finance Ministry officials, led by Economic Affairs Secretary Subhash Chandra Garg, and representatives of the global credit rating firm. "We have asked S&P for a rating upgrade citing macroeconomic stability of the country," the official said. The officials explained to S&P that debt-to-GDP ratio is a long-term consideration and should not be an immediate concern for a rating upgrade, he said. Credit rating agencies have been raising a red flag over high debt to GDP ratio of India. Currently, the ratio stands at around 68.5 per cent. The Fiscal Responsibility and Budget Management (FRBM) committee headed by former revenue secretary N K Singh had suggested that the Centre and states' combined debt-to-GDP be brought down to 60 per cent by 2023. India's position regarding rupee and CAD too was explained to S&P, the official said. The rupee closed at a record low of 70.74 against the US dollar today. A depreciating rupee puts pressure on the CAD, which is the difference between inflow and outflow of foreign exchange. The government has budgeted fiscal deficit to be at 3.3 per cent of GDP in current fiscal ending March 2019. Fiscal deficit during the April-June quarter of current fiscal had touched 68.7 per cent of Budget estimates. Another US-based rating agency Moody's Investors Service had yesterday said there are risks to fiscal deficit breaching the 3.3 per cent budgeted for current fiscal as higher oil prices will add to short-term fiscal pressures. Moody's also expects the CAD to widen to 2.5 per cent of GDP in the fiscal year ending March 2019, from 1.5 per cent in fiscal 2018. In November last year, S&P had ruled out any upgrade in India's sovereign rating through 2017 saying that it wants to see more efforts to lower government debt to below 60 per cent of GDP and that it did not expect revenues to rise enough to meaningfully lower the deficit over the medium term. It maintained the lowest investment grade rating of BBB- with a stable outlook. Another global agency Fitch had in April 2018, retained India's sovereign rating at 'BBB-' with 'stable' outlook, saying that the country's medium-term growth potential is strong. Moody's had, however, in November last year upped India's sovereign rating for the first time in over 13 years to Baa2' with a stable outlook, saying that growth prospects have improved with continued economic and institutional reforms.